Starting with the ladies, the Dirndl is a three-piece costume that can be worn in any number of beautiful colors and patterns. You can almost certainly buy the whole outfit together as a set which saves a lot of time and effort. 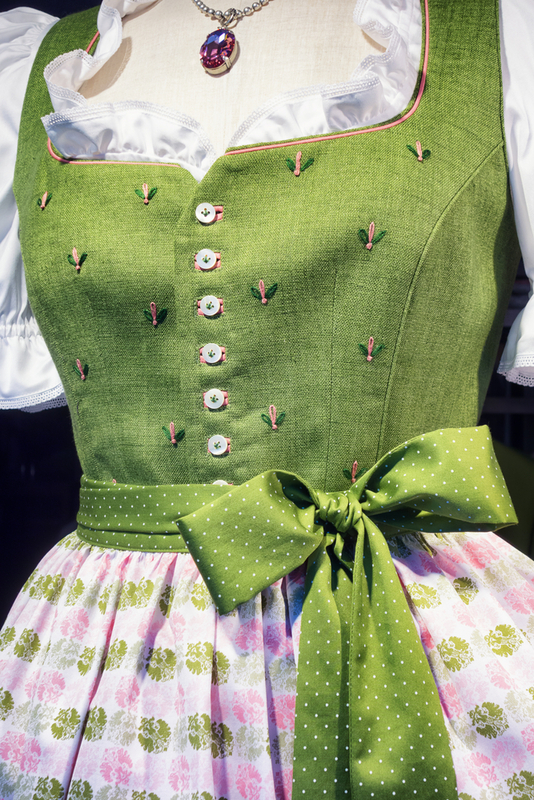 The dirndl dress is actually made up of two pieces (most often stitched together): the skirt (Rock) and the bodice (Mieder). The bodice is quite like a corset: there might be hooks or eyelets through which a chain or ribbon is threaded. Running around the edging by the cleavage and neckline will normally be a trim – either in the form of braid, frills, or ruffles – and sometimes piping. It’s these beautiful details that really make one Dirndl stand out from another, and you can always add more to your own to personalise it. The skirts tend to be very full or ‘swirly’ and often based on a checkered fabric. Traditionalists will insist that the skirt should fall below the knee or the ankle, but it’s very common nowadays to see mini-skirt style that finishes above the knee. The blouse is worn underneath the dress and will feature either a sweetheart or a square cut neckline. Sleeves can be full or work off the shoulders, which is referred to as Carmen style. All dirndl blouses are cropped just below the bust, which takes a little getting used to. The sleeves are gathered and trimmed at the bottom, usually with lace or light frills and ruffles. More detail can be found around the neckline, usually in the form of a frill or some embroidery. Dirndls are generally worn with a special bra (in German: BH) to highlight and give extra support to the bust – there’s no need to be shy when donning a dirndl, let your natural assets shine! Locals here call cleavage the “Décolleté”, or even the Balkon (balcony). The apron should always stop a few inches above the hem of the skirt, so will be defined by the length of the dirndl dress that you buy. The important feature of every apron is the waist: it should have a long ribbon – or sash – to allow fastening in various ways. The position of the knot (Schleife) is supposed to reveals the wearer’s ‘availability’. If the knot is on the left the wearer is single, so that’s the green light to flirt. If it’s tied on the right, she’s taken. If the knot is square on the front she’s probably a virgin. If it’s dead on the back the wearer is a widow or perhaps a waitress – be extra nice to wearers of these knots! There are no hard and fast rules about accessories so you can have some fun with these. Necklaces, earrings and chains with Bretzel charms or similar are very popular. Knee-length socks are common, but often socks are often skipped altogether in favour of tights. Coats – women’s jackets (called Janker) are long-sleeved woollen numbers, usually without a collar – but traditional ones can be very expensive! Knitted shawls are another less expensive option if it’s a bit on the chilly side. Even traditional Alpine hats are becoming popular with the ladies in the beer tents of late! A man’s traditional clothing is made from leather, linen and wool – originally designed for workers for the durability of the materials used. The full outfit includes knee-length trousers or short-pants made from leather, worn with rustic shoes and wool socks. Jackets and hats vary according to region and occasion. The outfit is usually sold as a set. 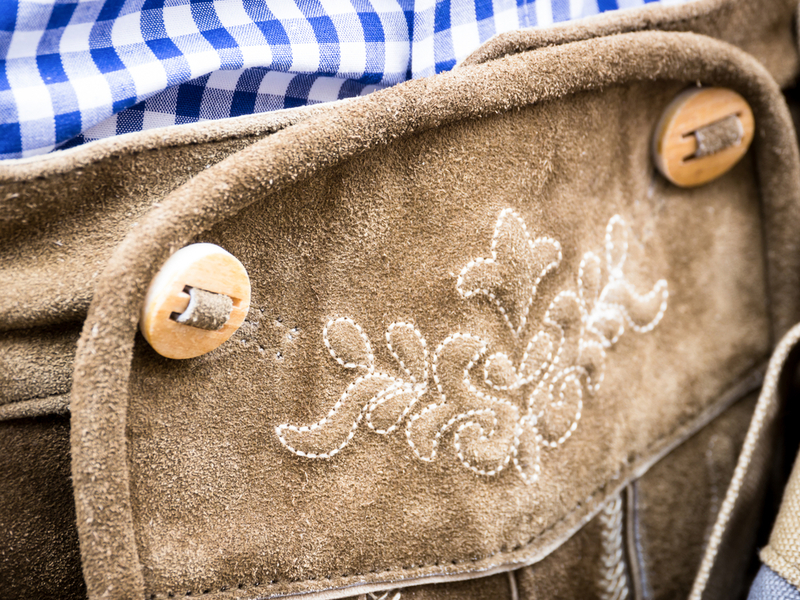 Lederhosen have a mixture of features, which make them distinctive. These features are a fall front (flap), with usually a button fastening, leather braces with a cross bar, legs that have lacing on the bottom, the use of large buttons that are attached with a leather strap, and pockets at the front rather than the sides. Below the knee or knicker-length leather shorts are called kniebunde. 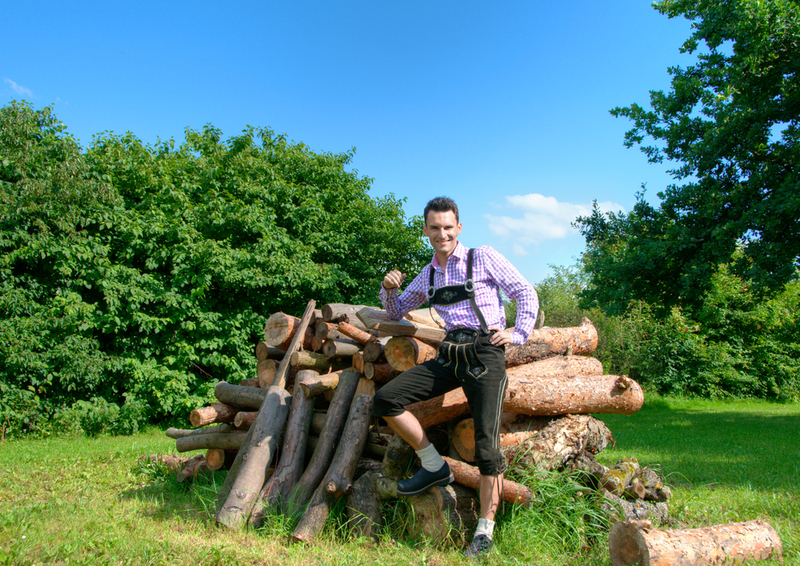 The short lederhosen are called furze. Full-length lederhosen are often worn without braces. Colours range from black, different shades of brown through to light tan and grey. There also two types of braces, the “V”-style and the “H”-style, which often have a colourfully embroidered pattern on the cross piece (Stegträger). 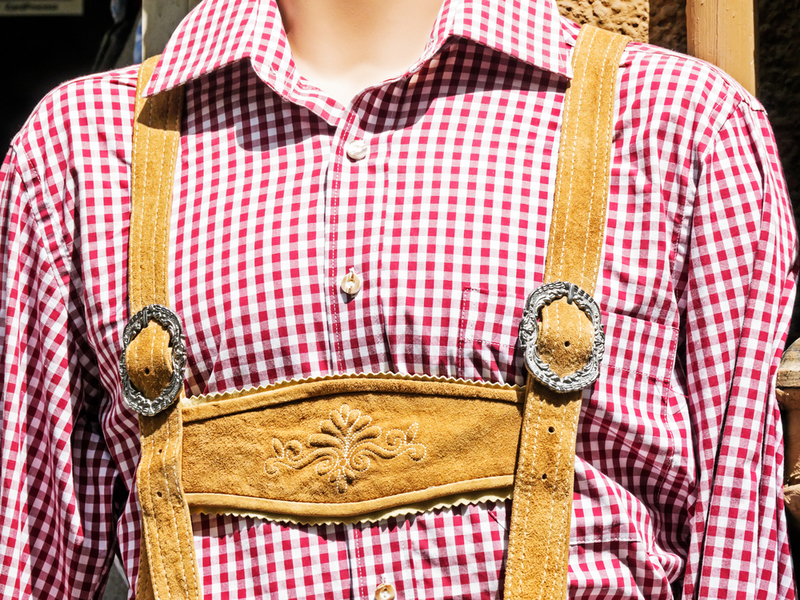 The shirts worn with lederhosen usually have blue or red checkered patterns. Very traditional shirts are white or cream and are often adorned with embroidery and buttons made of bone. These are usually cream or grey and can be knee-length (Haferlsocks) which are worn with shorter-style Lederhosen or ankle-length (Loferl). Loferls sometimes come with an extra band around the calves and tend to be worn when accompanied by longer-style Lederhosen. 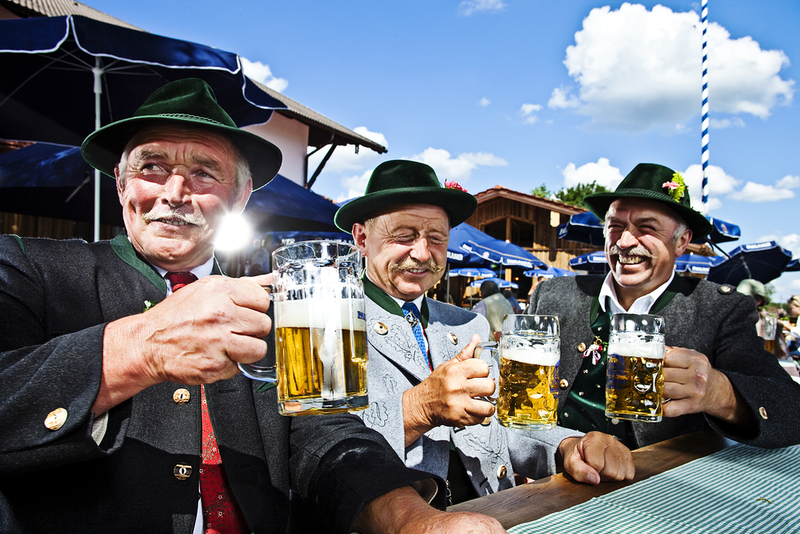 Traditional German lederhosen jackets are called Janker and are usually green, brown or grey have a thin green collar. A waistcoat is also a popular alternative to this (if wearing Lederhosen without braces). A chain, called a chiavari, is sometimes worn with lederhosen across the top of the flap. Chiavari can be decorated with old coins, animal teeth or other lucky charms. A small pocket knife or Trachtenmesser is sometimes carried in a side pocket. Alpine Hats are often worn by the more mature man. These might be green or black felt hats, sometimes decorated with badges, or more notably, a Gamsbart, the beard of a chamois (Alpine elk). Traditional Tracht (German dress) can be very expensive. In some Munich stores you could expect to pay €2,000-€3,000 for a unique costume. However, thankfully there are much less expensive options that start at around €100 for a full set – which is much more reasonable considering it will no doubt get covered in beer. 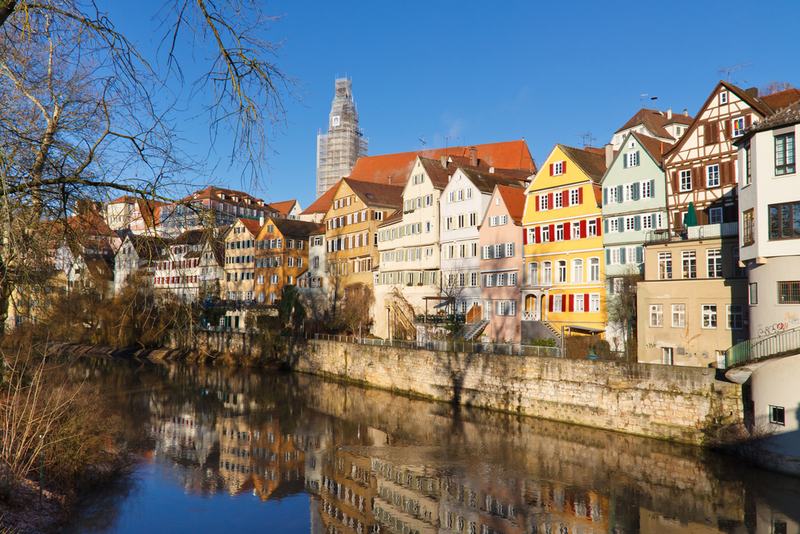 C&A and Galeria Kaufhof are both stores that stock Tracht from August to December. Plus you can often find some bargains on classified sites or even ebay. Have fun and send us your pictures of you and your friends dressed to impress!